Scenic Sotheby’s International Realty is excited not only to welcome Carrie Shoaf to its team, but to her new home in South Walton as well. Carrie recently relocated to the area from Park City, Utah where she excelled in residential and resort real estate sales with Summit Sotheby’s International Realty. Carrie’s experience selling luxury residential real estate in a nuanced resort market has allowed her to quickly familiarize herself with the 30A real estate market. We were fortunate to connect with Carrie late last year as we planned our January debut as a Sotheby’s International Realty® brand affiliate, so the timing was just right. She has been with the brand for over four years and is prepared to leverage its features to produce results for local buyers and sellers. Carrie and her husband Bill have made their new home on the east end of Scenic Highway 30A in Seacrest Beach and are enjoying the beach lifestyle. Carrie will base her business out of our new office at 30Avenue when it opens later this year, but in the meantime, is getting to know her new colleagues at our Blue Mountain Beach office. 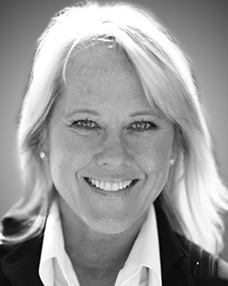 Carrie has excelled in sales for the past 25 years and was a member of Park City’s most stellar new project sales teams, including St. Regis Deer Valley, Silver Star, and The Sky Lodge. A national Top Producer Award winner, she views her sales numbers as merely a reflection of her commitment to serve her customers. Success, she believes, is not in the number of deals, but in the way she deals with people.